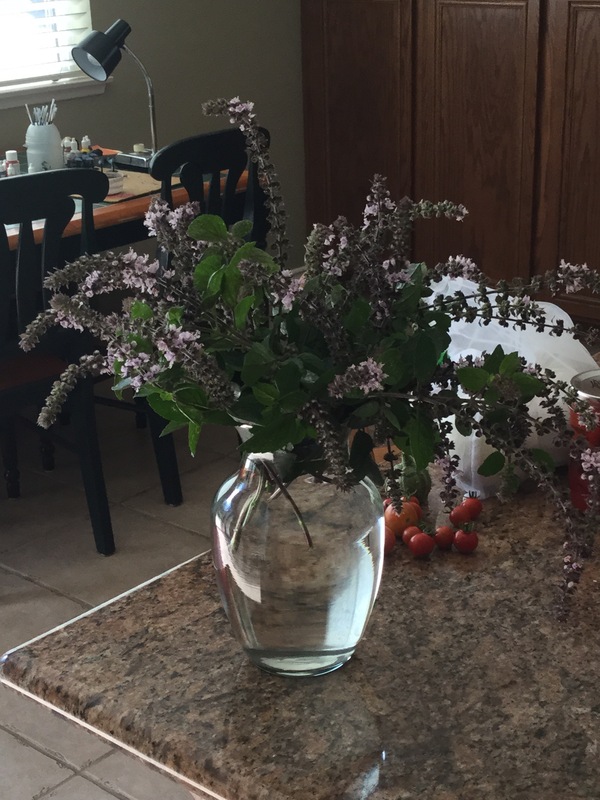 African blue basil. Gorgeous flowers, bees love it to pieces. It’s fuzzy so you don’t really want to eat it raw unless you shred it finely. It’s “herbier”, for lack of a better word, than regular basil. Maybe a touch more medicinal. Been growing like crazy in my yard. This little bouquet is under a quarter of the plant.